Extruded graphite is manufactured in various sizes and shapes. Manufacture of graphite blocks involves several steps, such as preparation of raw materials, forming, sintering and graphitization itself. Crushed material of coke, carbon black, natural graphite and graphite waste is mixed and assorted by the grain size. Later, these materials are connected by admixing of coal tar, pitch and synthetic resin. 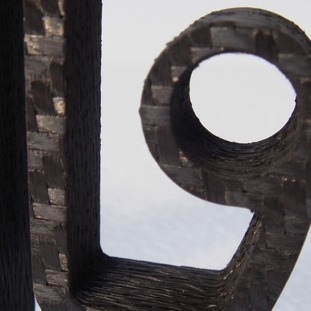 With regard to shaping, the extruded graphite is, as the proper name expresses, extruded through a hole in the ingot mold in various shapes and sizes. Such semi-products (also called green graphite) are then sintered (carbonized) at temperatures 1000-1200°C without air access, resulting in formation of pores. In order to achieve the required quality of materials, while semi-product is to be at the same time cleaned from residues of binder and impurities, the semi-product is passing through graphitization at temperatures of 2500-3000 ° C, when amorphous carbon is transformed into crystalline graphite. 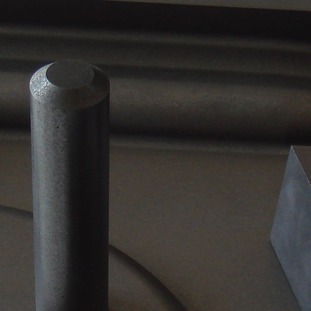 The extruded graphite is specific by its different properties longitudinally and transversely. It is mainly used to produce less exposed graphite products, such as heating bodies, components for industrial equipment and vacuum furnaces for heat treatment of metals, PVD and CVD coating equipment and other structural elements for specialized technologies. Basically, the production process of isostatic material is to a large extent similar to extruded graphite. In some phases, however, it differs. In the production of graphite there are mostly used raw materials in the form of powder of finer granularity. But the most important difference is the method of semi-product forming. Unlike the method of extrusion for extruded graphite, it is applied here the method of so-called isostatic pressing. This process runs at normal temperature in isostatic presses with the help of a liquid medium, where uniform pressure from all sides is applied to the raw graphite. In fact, the process of isostatic pressing results in higher cubic density, lower porosity and higher hardness. Due to these properties, isostatic graphite is particularly suitable for manufacture of components for continuous and pressure casting of non-ferrous metals, EDM machining, sintering and mechanical applications. Purified materials are suitable for semiconductor and solar technology and metal processing with demand for highly clean environment. CFC consists of ultra-thin carbon twisted fibers reminding wovened fabric. Carbon fibers are the base for composite materials. These fibers reach barely 1/10 of human hair thickness. Despite this, they represents a great alternative for laminates and ceramic materials in the field of shape stability and absorption of external forces into their microstructure due to their strength properties. Some types of CFC materials resist in an inert atmosphere or in vacuum to temperatures up to 2700 °C. There is also a possibility of impregnation of carbon fiber materials, which ultimately leads to improving their mechanical properties. In Topgrafit, we focus especially on working with 2D and 3D structures of CFC fibers in form of plates, tubes and profiles for industrial use. Considering their characteristics, such as high strength, low density, low weight, flame resistance, good electrical conductivity, high purity and low thermal conductivity, the carbon fibers are applied in engineering industry, semiconductor technology, aviation industry, astronautics and in other fields. 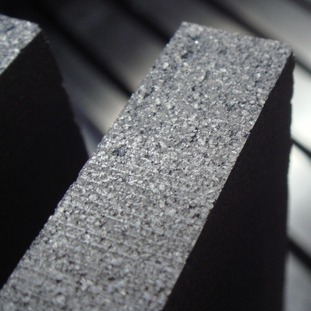 In the manufacture of larger sized blocks the method of so-called vibrating is used as an alternative to extruded graphite to achieve minor differences in parameters in and against the direction of extrusion. We also deal with machining hot-pressed graphite materials and expanded graphite.